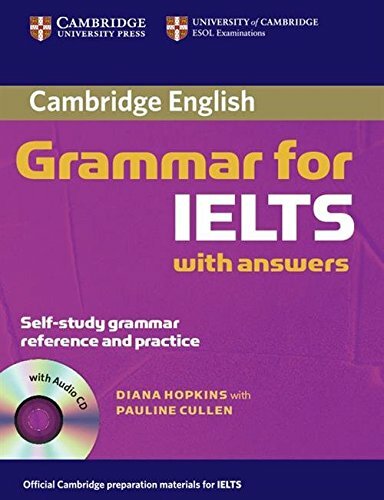 [PDF] Cambridge Grammar for IELTS Student's Book with Answers and Audio CD (Cambridge Books for Cambridge Exams) | Free eBooks Download - EBOOKEE! Description: Product Description: Cambridge Grammar for IELTS provides complete coverage of the grammar needed for the IELTS test, and develops listening skills at the same time. It includes a wide range of IELTS tasks from the Academic and General Training Reading, Writing and Listening modules, and contains helpful grammar explanations and a grammar glossary. A Student's Book 'without answers' is also available. No comments for "[PDF] Cambridge Grammar for IELTS Student's Book with Answers and Audio CD (Cambridge Books for Cambridge Exams)".